New York, New York: Kenneth A. Sagat, Esq. and William C. Burton, Esq., both former partners of D'Amato & Lynch, have combined to form a new law firm which will provide strategic advice on insurance related corporate and financial matters, litigation resolution, and lobbying critical business issues at the federal and state levels of government. 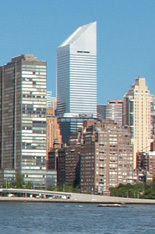 The newly established firm, Sagat|Burton LLP., will be located on the 39th Floor of 245 Park Avenue in midtown Manhattan. Together, both partners have over a half a century of extensive experience in their fields of practice. Kenneth Sagat is prominently known for his expertise on insuring and resolving corporate and securities litigation and other financial loss contingencies. He has extensive background in director's and officer's liability insurance, fidelity, surety, and financial guaranty insurance. Over the past 35 years as a senior partner at D'Amato & Lynch, Mr. Sagat represented insurers in the negotiation of securities class action and other complex litigation settlements. He has also served as a mediator and arbitrator. He is a frequent speaker and panelist on insurance and financial matters and has written on corporate and insurance issues. In addition, Mr. Sagat recently co-authored an article being circulated in accounting circles on insurance for accounting restatements, which was published in the NYU Stern School 's Journal of Accounting Auditing & Finance. After graduating law school, Mr. Sagat served in the United States Department of Justice, Antitrust Division, as a trial attorney litigating merger matters. William Burton is an established Washington lobbyist who has devoted his practice to insurance and banking legislative and regulatory matters. He has represented many of the nation's largest insurers and financial institutions on issues involving federal and state legislation and regulation. He was a partner at D'Amato & Lynch and was associated with the firm for more than 12 years. He is the founder and chairman of "The Burton Awards," which is a national awards program run in association with the Library of Congress. Mr. Burton is also the author of "BURTON'S LEGAL THESAURUS" which is published by McGraw-Hill. Over the past quarter of a century it has become a standard-bearer of legal terminology. The well known reference tool was hailed as one of the most innovative and creative books of the year when it was published in 1980 by the Association of Legal Publishers. After graduating law school, Mr. Burton served as both an Assistant Special Prosecutor and an Assistant Attorney General in New York State . In announcing the establishment of the new firm, Mr. Sagat and Mr. Burton said "We are delighted over the dynamic prospects for the new firm. We look forward to continuing to provide our clients with representation and strategic advice on insurance for financial contingencies, litigation resolution, and federal and state lobbying."